Athletes, are you working out or training? Why you may be wasting your time. Have you heard this phrase before, "I'm going to the gym today to workout ". Going to the gym to workout can mean many things but for many it means running on the treadmill and lifting a few weights. For an athlete, doing this will not get you the results you want. So, what's the difference between "working out" and "training"? Working out means you probably don't have a plan or a goal, you just slapped together some exercises you found on the internet. Working out means that you probably don't pay attention to your rest days and recovery time between sets. I've heard numerous times of athletes "working out" 7 days a week. When you are "training" you carefully schedule rest days (both active and passive days), you pay close attention to your nutrition (pre, during, and post), and you are going to the gym with a plan to reach a specific goal. Training is about improving yourself every day, focusing on specific exercises that will help you improve your performance and reach your goal. Working out is usually about trying to look good in the mirror and not goal-specific. Finding a good coach can also help you reach your goals and keep you accountable. 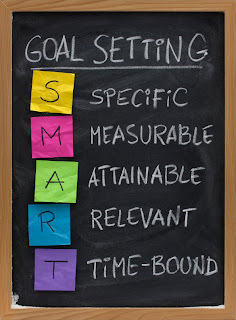 If you are not doing the things you need to do to reach your goals, a coach can help keep you on path. I remember the biggest impact hiring a coach had with me. Every day I would think what I needed to do but kept getting confused or frustrated thinking I wasn't doing enough. Then I would receive weekly training programs and I followed them religiously. All of a sudden I wasn't questioning what I was doing, I had the confidence in my coach to help me get where I wanted/needed to be. I was no longer just working out without a plan; I was training with a purpose. It's easy to get caught up in all of the latest and greatest workouts published in magazines. Take Men's Health for example. Every month they come out with a new workout that promises to get you ripped by summer. Sure they are good workouts (put together by some of the best coaches in the country), but are they helping YOU reach YOUR goal. Odds are that they are not. They don't know what your goal is. One of the hardest things to do is stay consistent with the program. You can't change after a few weeks, or worse, quit. If you are working with a coach it should be simple, just follow the program written for you. Yes it's that simple, just follow the program. If the training is geared towards your goal you WILL reach your goal. Another important aspect of "training" is to keep a training log. This can be as simple as recording your sets, reps, and weights for each workout. The main goal is to improve on what you did before, that’s called progression. 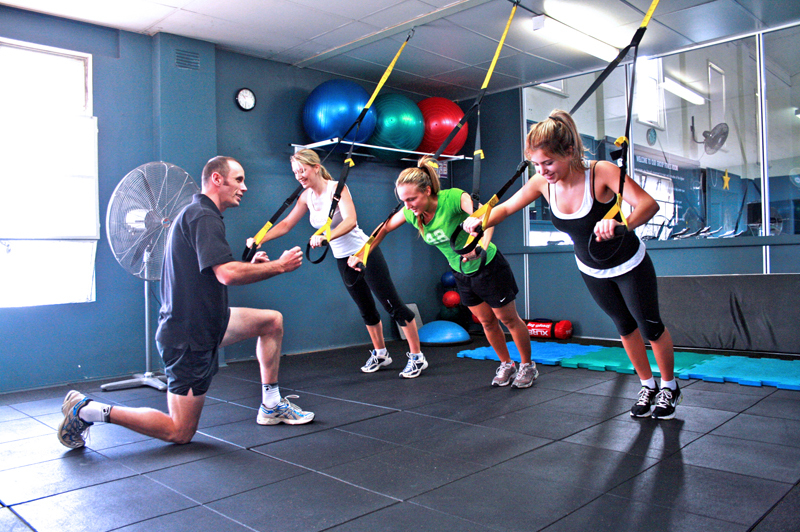 A good progressive training program will increase one of the above every few weeks (if not every week). Being able to see how you performed in your last workout, as far as weight and reps, will allow you to easily set a goal for your next workout. Otherwise, you are just working out without knowing if what you are doing is working or not. I even have some of my athletes track their daily sleep (quantity and quality), bodyweight, their mood, and their willingness to train each day. Tracking your physical and mental progress will only help you further your career as an athlete. If you are an athlete reading this, STOP working out and START training. Hire a coach. Before you know it you will become the athlete you want to be. We are creatures of habit. Once we become good at something (especially in the fitness arena) we tend to continue doing the same thing. No one wants to be "bad" at something. The problem with this is that it might be what's holding us back from improving in our sport/s. Here is a list of things to AVOID when strength training. By avoiding these mistakes, you will be able to improve your performance and take your fitness to new heights. Don't get too focused on how you look in the mirror. Having big arms and a broad chest may impress the girls and look good on the beach, but it won't do anything for your athletic performance. Your largest muscles are in your legs (including the glutes and hamstrings), and the more you strengthen them the more hormones you release to help build strength and size in your entire body. Your legs are what provides the foundation to any sport-specific movement. It's easy to work on things you are good at, but that won't make you a better athlete. In order to improve you have to eliminate any weaknesses, and that means probably doing things you aren't familiar with or good at. Most elite athletes don't have weaknesses, and if they do, I'm sure they are working on them right now. When was the last time you did deadlifts? They are one of the best compound moves (targeting several muscle groups and multiple joints) to help build strength. Do you always lift weights at the same speed? If so, you are missing a key component to improving your strength gains. According to Mike Boyle, of Mike Boyle Strength & Conditioning, "lifting weights with explosive speeds activates more fast-twitch muscle fibers, which have the greatest growth potential". You don't always have to lift weights with an explosive speed but it should be incorporated in your periodization training. For instance when lifting heavy weights (85%+ of 1RM) you want to lift slow and controlled. When performing certain movements with explosive speeds, do the lifting phase of each exercise as fast as you can. Running too many slow miles is a repetitive movement and your body will adapt quickly and stop making progress. According to Boyle, "running doesn't activate fast-twitch muscle fibers, which are great fat burners and body builders". Start incorporating some intervals (short bursts of intense activity) in place of your slow runs, or run steep hills instead of always running on flat terrain. You can sequence your interval work many ways, for instance using a 1:1, 1:2, 1:4 or even a 2:1 ratio. Using the 1:2 ratio, this means that you would run hard for a length of time (say 30 sec.) and follow that with twice the amount of recovery time (which in this case would be 1 min.). According to a recent study in the Journal of Strength and Conditioning Research, interval training leads to gains in aerobic and anaerobic performance that are significantly greater than with steady state cardio. It’s easy to push ourselves hard in the gym, or spend hours doing cardio to improve endurance, but the most under-rated area of improving performance is NOT allowing for enough rest each week. The training you do breaks the body down and makes micro-tears in muscle tissue; it’s when you rest that you build back up and with proper nutrition get stronger. The goal of “rest” is to help the body regenerate and bounce back the next day. Rest doesn't have to be lying on the couch and doing nothing (aka: passive rest), it can be something that still makes you feel as though you are still exercising but without the stress to the muscles or mind (aka: active rest). Simple “active” rest ideas include yoga classes, foam rolling and stretching, going for a walk with your dog, or doing an activity different than the particular sport you are training for at a light intensity. The best type of rest is sleep. Aiming for 7-8 hours of quality sleep each night will help speed recovery of sore muscles from hard training days and allow you to perform at your best day after day. Taking a 20-30 min. nap during the day is also a good option if you are not able to get 7-8 hours of sleep at night. Aim for at least 1-2 rest days during your weekly training schedule. 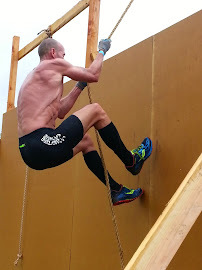 Are you looking to participate in a Spartan Race , Tough Mudder or another obstacle course event? 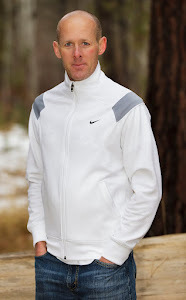 Are you looking to improve your performance from a previous race that you did? 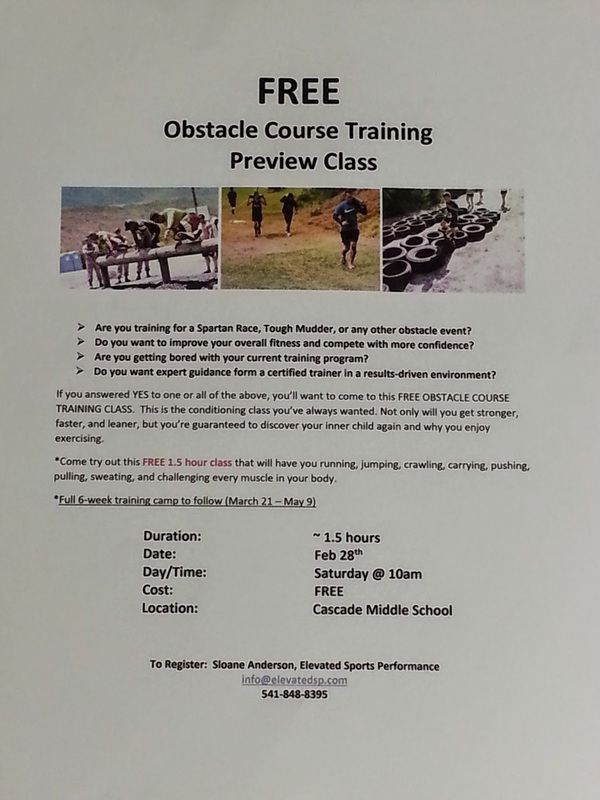 Then you will want to come to my FREE obstacle course training class on Feb 28th at 10 am at the Cascade Middle School. A 6-week training program will follow beginning in March. Make this the year you get over your fear and get your feet dirty and do an obstacle course event. It was fun to do this challenge, but both of us are glad that it is over. The first set of 50 swings in the first workout was horrific and we never thought it was going to get easier. Over the course of the 20 workouts, I would certainly agree that each rep of the swings became easier, however, the workouts never seemed to get easier. Our workout times to completion began around 43 minutes with the Overhead Presses and finished at 30 minutes even during the last week. The days with the Dips went from 42 minutes initially down to 30:30 minutes. Our day of just doing 500 KB Swings by themselves reduced from 32 minutes to 24 minutes. Goblet Squat days went from 43 minutes to 32:30 minutes and the the most significant reduction in time was on our chinups day, which dropped from 46 minutes to 33:30 minutes (12:30 minutes faster). This day always felt the most difficult. This reduction in time over the course of 4 weeks was not due to swinging the KB faster, although I would say we became more efficient with our swings, but it was the reduced rest periods between each set of swings. We first were using 30-60 sec. of rest after each 10,15, an 25 swings, and close to 3 minutes after each 50 swings. During the final week, we didn't rest between the 10, an 15 swings, maybe 15 sec. after the 25 swings, and only about 30-45 sec. after each 50 swings. The results from our body composition were quite interesting. One thing that was different between Gordon and I during the 4 weeks of this challenge was that I ran 3 days a week and he did no other form of cardio work. WOW! Gordon gained 9 lbs of lean mass and dropped 1.5 lbs of fat mass. Simply by doing KB swings and a low volume strength exercise. I guess the proof is in the pudding. Me on the other hand stayed pretty much the same, and has to be a result of the added running days mixed in. In addition to our improved fitness (reduced rest periods), our grip strength improved tremendously, core strength improved, and mental toughness improved. If you want to build muscle and lose fat, this is a great workout program all by itself. This also stresses the belief that less is more. Our workouts lasted no longer than 45 min and as short as 24 minutes. Can't ask for much more than that to gain 9 lb of muscle. Nice work Gordon and thanks for doing this with me.